It’s official! THE MEMORY BOX is a book! I’m thrilled to announce THE MEMORY BOX, the newest release in the hottest genre in fiction: the marriage thriller, is finally a book! It’s just been released and is available in paperback and Kindle on Amazon worldwide. With expanded distribution in the upcoming weeks. This book has been long in the making and the road to publication was a pothole-filled journey. If you’re a writer, you know there are one million potential chances to hit a bump in the road, fall out of your car, get bruised pretty badly and decide driving is not for you. And you end up walking everywhere you go for the rest of your life. There are so many possible detours. Red lights that never turn green. Other drivers who swerve into your lane and crush your car to smithereens. Sometimes you’ll think you know where you’re going when you set out, only to get lost along the way. Other times you’ll simply run out of gas. There are as many opportunities to sabotage your success as there are days in your creative life, or even hours. To not listen to those cynical voices, whether they are external or internal, in order to get to this day—the day your flicker of an idea becomes a book—is close to a miracle. There were many people whose encouragement, both big and small, kept me going. If those of you can hear me, thank you for cheering me on, holding my hand or paving the way for me to go the distance. To you, I bow my head in appreciation. This spring, THE MEMORY BOX had the distinguished honor of being a recipient of the Houston Writers Guild 2014 Manuscript award and it has already garnered some wonderful early praise. I hope it will find it’s way into your beach bag, train tote or carry-on luggage this summer. If it does, thank you so much for taking a chance on THE MEMORY BOX. Perhaps you’d also consider writing an honest review on Amazon, Goodreads, Shelfari or any social media platform you’re on. Reviews and word of mouth through social media will be invaluable to the success of THE MEMORY BOX. And every little bit helps tremendously! Thank you so much for your interest and support! And as always, I so appreciate hearing from you. If you had a connection with something you read, I’d love to hear about it. 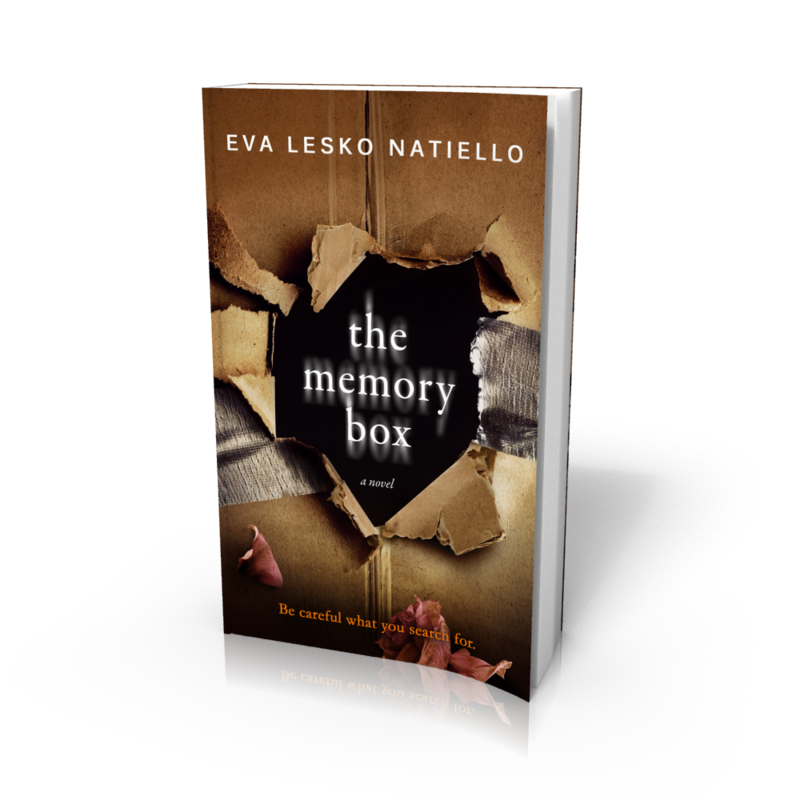 If you’re a fan of thrillers and psychological drama, you do NOT want to miss Eva Lesko Natiello’s The Memory Box. I was DREAMING about this story while I was editing—it’s that good! Congratulations! All the emotions you describe are spot-on. It’s exciting when dreams become reality. I’m grateful I could order The Memory Box through my local bookstore. I read it in practically one fell swoop. I loved it! Sensational debut! It’s hilarious, riveting, gripping. I read it fast because I couldn’t wait to find out what happened next. I look forward to reading it again. I admire how you crafted the plot’s unexpected twists and turns. Your humor is terrific! I wish you all the best for The Memory Box’s tremendous success. And I hope your next book comes out soon–I need more books by you! Previous Previous post: THE MEMORY BOX Cover Reveal!